International Cricket Council (ICC) finned pacer Ishant Sharma on Saturday for animated celebrations after he dismissed Dawid Malan on the Day 3 of Edgbaston test. 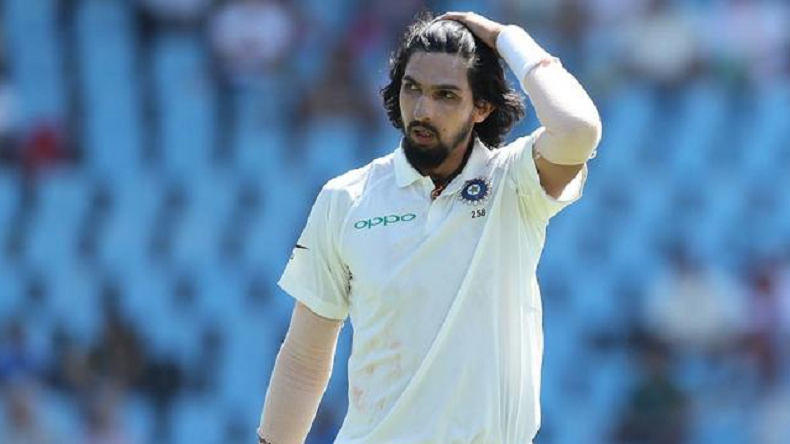 Ishant Sharma was fined 15 per cent of his match fees for violating the level 1 of the code of conduct of ICC for players. Ishant Sharma accepted the charges levelled by umpires Aleem Dar, Chris Gaffaney and third umpire Marais Erasmus and 15per cent fine was sanctioned by match official Jeff Crowe. In the first test match against England, Ishant Sharma dismissed 6 English batsmen at Edgbaston.